New Home Construction and Remodeling Contractor - Northern Indiana and Southern Michigan - Chapel Homes, Inc.
At Chapel Homes, Inc., we believe that it takes much more than just stone, brick and wood to create a home. It takes a passionate builder who understands your needs and is willing to earn your trust. We recognize that we are building not just a home, but a life-long relationship with each client. Since we began constructing new homes in 1992, Chapel Homes, Inc. has been one of the leading names in the Northern Indiana and Southern Michigan home building industry. Read More. Stop By And See Our Two Villa Models In Bridgewater, Auburn, Indiana. Remodeling has been and continues to be a large part of our business. Since we started in 1987, we've been satisfying our customers with new room additions, and home renovations. Read more. 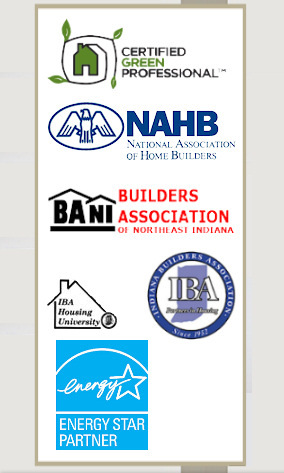 We invite you to peruse our web site to learn more about the new home construction and home remodeling / renovation services we provide to Northern Indiana and Southern Michigan. You'll see before and after photos and learn more about the outstanding service we give our customers. Please feel free to contact us with your questions. We look forward to hearing from you. Copyright © 2009 - Chapel Homes, Inc. - All Rights Reserved.